Sam was born in Beaconsfield (August 1976) and after his family returned to Ghana was educated at Achimota Secondary School, before coming back to England for the last two years of his school education. He read Philosophy, Politics and Economics at Somerville, and was elected President of the Oxford Union. Sam started his career at Goldman Sachs after which he was involved in developing a couple of small businesses in the training, employment and internet sectors; in 2005, he was voted CBI Entrepreneur of the Future. Sam was Chairman of the Bow Group Think Tank, edited an anthology of essays: From the Ashes…. The Future of the Conservative Party and has been a local Association Officer. He has served as School Governor of an inner-London School, on the Board of a Housing Association and on the Development Board of Somerville. He has been a volunteer and fundraiser for Crisis and the Down Syndrome Association, and is on the board of the National Centre for Young People with Epilepsy in Lingfield, Surrey. He was elected Conservative Member of Parliament for Surrey East at the General Election of 2010. In 2012 Sam was appointed Parliamentary Private Secretary to the Prime Minister, David Cameron, and in 2013 he was appointed a Government Whip. 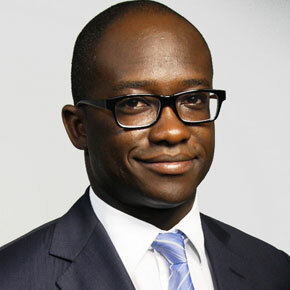 In 2014 he was appointed Parliamentary Under Secretary of State for Education, with specific responsibility for Early Years and Early Intervention. He was also appointed to a second ministerial post at the Cabinet Office, with responsibility for Constitutional Affairs.